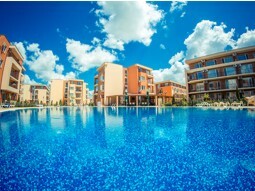 paid till end of January 2018! 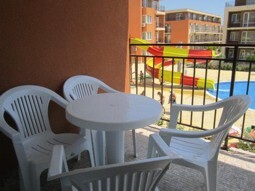 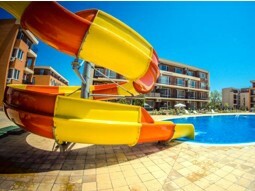 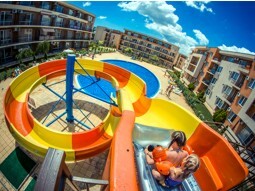 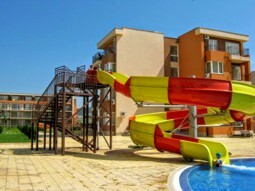 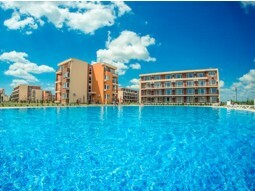 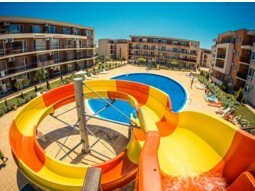 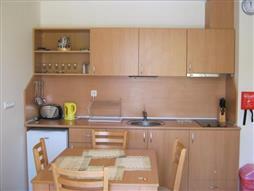 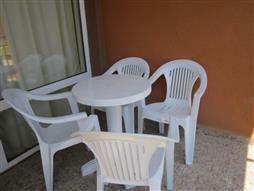 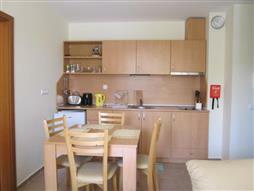 Wonderful holiday apartment in Sunny Beach situated only 5 minutes walk from the Aqua Park. 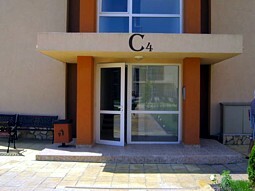 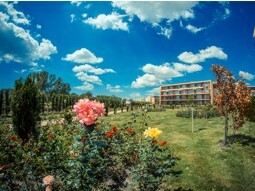 The apartment is located in a residential holiday complex. 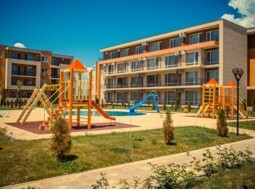 Available for the guests in the Complex there are three swimming pools, one of which with water slide and playground and a grocery store. 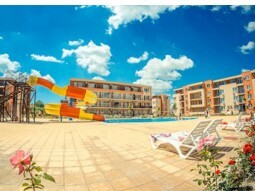 Sunny Beach center is only 15 minutes walking distance, where you can find plenty of shops, restaurants, coffees and other entertainment, and of course to enjoy the beach. 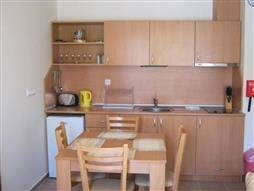 The apartment offers one bedroom with double bed and wardrobe. 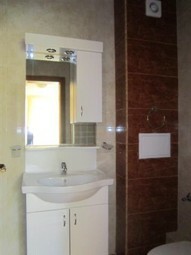 Bathroom with shower-cabin, toilet and wash-basin. 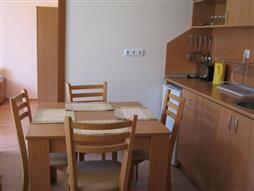 Living room with sofa-bed where comfortably 2 persons can sleep; dining area with table and chairs and equipped kitchen - small fridge; two ceramic hot plates; toaster; pitcher for hot water and the necessary utensils for cooking and serving food. 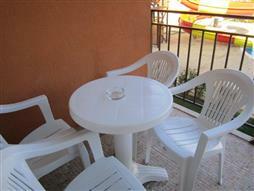 Nice balcony with plastic table and chairs overlooking the pool area. 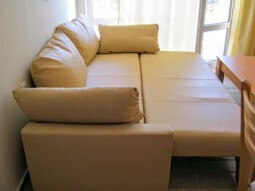 Mosquito nets and air conditionings in the living room and bedroom. 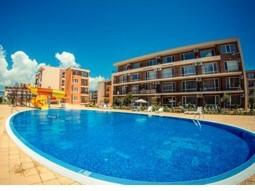 Sunny Beach is located on the southern Bulgarian Black Sea Riviera. 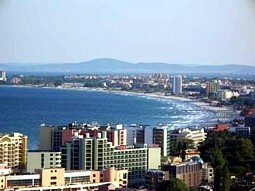 Situated in a bay with crescent-shaped, facing east. 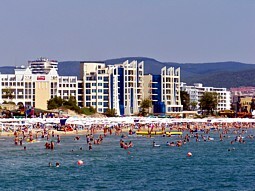 The northern part of the resort is at the foot of the last hills of the Balkan Range, where it borders with the town of Sveti Vlas. 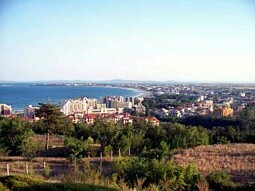 On the South touches the ancient town of Nessebar. 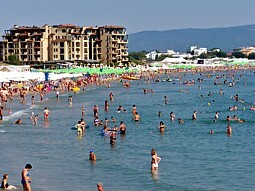 Sunny Beach line is 8 km long and 30 m – in places up to 60 m wide, covered with fine golden sand and with natural sand dunes. 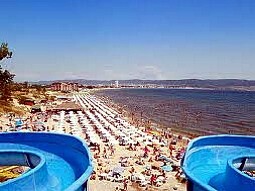 The average temperature of the sea water is 20-26 °C, and its salinity is twice lower than that of the Mediterranean. 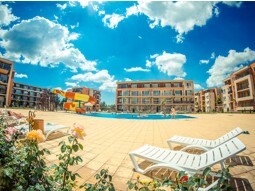 The sunshine hours between May and October are about 1,700.Available in the Sunny Beach Resort are gyms, saunas, swimming pools, beauty and massage parlors, medical services, game rooms. 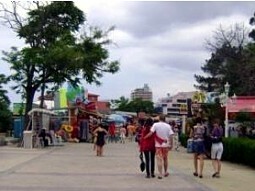 Numerous restaurants, pubs with folklore shows, fast food places, cafes, day and night clubs, bars with variety shows, casinos and discos ensure your good mood and culinary pleasures. 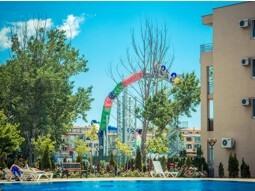 There are countless opportunities for fans of sports and challenges: surfing, water skis, parachute jumping, inflatable bananas, yacht clubs, scooters, beach volleyball, tennis courts, bowling alleys, horse riding. 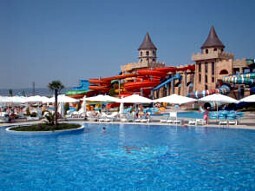 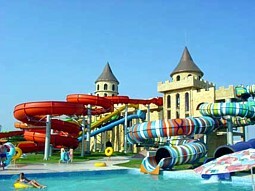 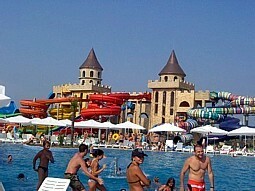 With the many amusements, games, kiddy pools and kindergartens, Sunny Beach is a real paradise for children. 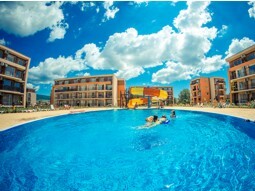 This is the place where there is beach and sun for everyone. 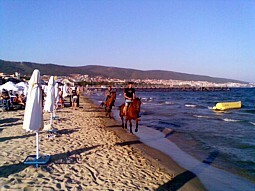 - Nessebar - 3 km. 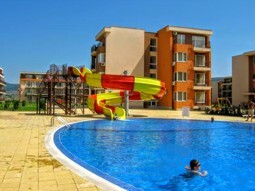 - Burgas - 29 km. 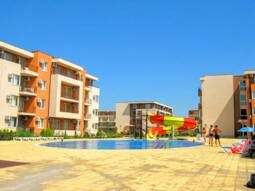 - Varna - 62 km. 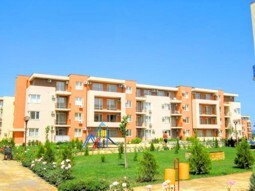 - Sofia - 359 km. 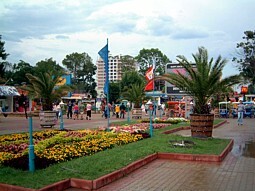 - Plovdiv - 250 km. 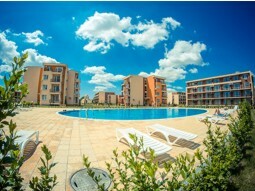 - Veliko Tarnovo - 174 km. 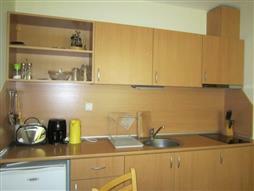 - Dobrich - 99 km.